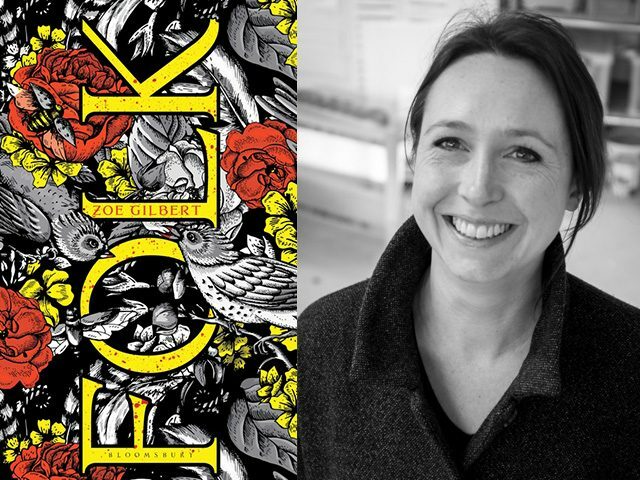 Folk tales have been inspiration for many writers – Angela Carter, Daisy Johnson – Why do you think older, more traditional tales inspire modern writer’s to re-work them? Folk tales are a kind of creative commons (like Shakespeare, ancient Greek myths and biros). They can also mean whatever you want them to: give 20 people the same folk tale, and they will all say something different when it comes to what it means. I think this is why writers and storytellers will always draw on them. I also love the idea, best put by Sara Maitland, that folk tales are ‘filled with the reverberations of everyone’s dreams’. Our own dreams are tedious as hell to other people, but our shared cultural symbolism from folk tales is rich and strange and resonates for most readers. I run a course called Folk Tales in New Fiction (the next one will be in October), where we explore the possibilities around folk tales tropes and plots for creating new stories. Even though everyone starts with the same source material, all the work produced on the course is utterly original – there is no way to ‘use up’ folk tales as long as we bring our own imaginations to them. Animals and the natural world are explicitly linked to the folk tradition. There can often be an idolisation of the natural world, and the simpler way of doing things. Do you think there is a drive in modern society to return to a simpler way of life, and perhaps nature, that maybe the folk tale represents? In a word, YES! But I think we should be careful not to mistake this for a kind of lazy nostalgia for Merrie England – the kind Ukip and even more nationalist groups would like us to entertain. Most of us wouldn’t last long living on our home-grown spinach and pumpkins, with only a bonfire for entertainment. But, surrounded as we are with technology, many people are feeling beglamoured by these shiny objects that lead to little by way of deep meaning. The natural world implies the stripping away of manipulative, empty content delivered via smartphone and allows us to find stories and sense on our own. It’s not just escapism; there’s an elemental simplicity to the pre-industrial natural world, and spending time there, even through fiction, can help clear the confusing fog around who we are and how we should live. Very often folk tales include some kind of magical creature, often an animal/human hybrid. Do you think this expresses anything about modern life, that perhaps we all would like to return to a life that was more closely linked to nature, and less mediated? It’s often been said that folk and fairy tales help us entertain the possibility of change – and magical creatures have a central role in that. Animal/human hybrids in particular speak to us now of otherness, difference, and uniqueness. Many of us feel as though we are, metaphorically, hiding a scaly part or a feathered limb: that our whole self is not – and should not be – visible to society. Acceptance of these changes or hybrid forms is often read as a coming-to-terms with the self, but it is interesting that this has a positive connotation when the magical part mirrors something from nature, like a bird or a fish. We feel rather differently about bodies that are part-machine, but perhaps that will change. You book describes the journey and rites-of-passage of a group of young people. Does representing adolescence against a folk backdrop represent perhaps, a different side to youth, instead of the stereotype of teenagers being obsessed by their phones and fleeting fads? I’m interested in adolescence because it’s a time of great change – of becoming, leaving behind, finding your way. So many protagonists in traditional folk tales are also young, and doing those same things in more explicit – and peculiar – ways. Folk tales seem to lend themselves to young characters, who are also more prone to magical experiences. Take away the mobile phones, and all the angst, desire and transforming experiences is still there. Folk is set on the fictional island “Neverness.” The island setting must have given you great freedom to create your own space/world for the story? I argued for a long time with (helpful) critics who demanded to know where, and when, these stories were taking place. I’m glad I stood my ground. Think about the world inside a folk tale: it is pre-industrial, often rural, but it is rarely a specific place, and it is no particular time. It has boundaries, homes, wilderness, gathering places, and all manner of magical spaces and things. The island of Neverness is the world that you find inside a Western European folk tale. Its shape and its landscape, though, were inspired by the Isle of Man, where I spend time visiting my family. Are you attracted to the isolation of island settings, far removed from London where you currently live? Yes – isolation as well as lack of metropolitan excess and hurry are important to me, and the Isle of Man certainly provides that. Even in the height of summer, you can have a beach or a hillside to yourself. The landscape there has entered much of the fiction I’ve written in the last ten years – firstly subconsciously, but now I actively look for inspiration while walking in the gorse and heather. You won the Costa Short Story Award in 2014 with “Fishskin Hareskin”. Was your writing heavily inspired by the folk tradition before this? I’d been trying my hand at writing new folk tales, and folk-inspired stories, for a few years before I wrote that one. It was one of many I wrote as part of my PhD in creative writing at the University of Chichester, so my fantastic supervisor Alison MacLeod pushed me through many redrafts. And thank goodness she did. Your work has been compared to Angela Carter and you’ve said her work has influenced yours. Which other writers do you currently admire, who may be approaching familiar tales in an unusual way? I’ve been focusing particularly on short fiction writers who draw upon folk tales for my PhD research, and those I love and admire the most are Helen Oyeyemi, Lucy Wood, Kirsty Logan and Claire Massey. They all use old tales in unique ways, and do their own wonderful thing – but not surprisingly, every single one of them has been compared to Angela Carter. I think it’s the critic’s shorthand for any woman writer drawing on folk literature. You’re involved in championing the short story through your work at the Word Factory. What short stories have you read recently that you found particularly affecting? I’m reading Chris Power’s new collection, Mothers, at the moment, and there is an astonishing story in there called ‘Johnny Kingdom’, about a stand-up comedian who makes his living solely by impersonating a bygone comic. The poignancy of the premise alone really got to me, and then the story quite broke my heart. What do you like about the short story form? Do you think this particular form works well when writing in a folk tradition, as many of these stories were originally written in short form? There is something to that. I also think there is a difficulty in extending a folk conceit to novel length; we tend to need either full-fantasy immersion or a realist novel that uses folk motifs but resists making them concrete. The short story can ask us to entertain a fantastical possibility for the time we spend with it, and we will accept that. We are also more likely to accept absolute ambiguity about the reality and meaning of a magical element in a short story. Folk worlds and folk tales are intense and extreme – life, love, good, bad, poverty, wealth, loss, death – that’s another reason why the short story can handle them so well. It could be argued that folk stories are the earliest form of story we are exposed to eg. fairy tales, nursery rhymes, even playground games. These come from an older tradition of storytelling, but what do you think first influenced you to write a form of folk tale? My fascination with all that is ‘lacking’ in the form according to the current rules of good writing was what made me try to write new folk tales. They have no psychological depth or realism, characters are nameless ciphers and usually stereotypes, magical things happen and nobody is surprised, there’s little emotion and the stories often have weird shapes that aren’t Hollywood-satisfying. Yet we love them and find so much meaning in them, as well as entertainment. The stories in Folk are not folk tales – they re-introduce many of those missing elements (I hope!) to the folk-tale world – but I enjoyed the experiment of putting real people into a place that is otherwise dreamlike and flat. Lauren Miller has an MA in Creative Writing from Birkbeck. She writes fiction and was published in Mechanics Institute Review 13. Her work has been long listed for the Fish Poetry Prize and the Bridport Prize. She has a BA in Fine Art from Central Saint Martins and is the current Features Editor at MIR online. 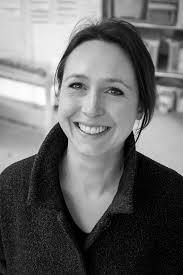 Zoe Gilbert is the winner of the Costa Short Story Award 2014. Her stories have appeared in anthologies and her work has been published in many journals. She co-hosts the Short Story Club at the Word Factory and is the co-founder of London Lit Lab. Zoe lives on a hill in South London.